As managers go, Jose Mourinho is one of the best, arguably one of the best of all time; however his dealings with Roberto Martinez and Everton Football Club over the last 60 days have lacked any resemblance of class. Riled by his sides defeat on Saturday and his failure to capture John Stones, Mourinho publically swore at Roberto Martinez, blasting the Everton manager for speaking to the media before he himself had opportunity to answer the press packs questions. This isn’t the first time this summer that the Chelsea manager has stepped over the line in his dealings with Martinez. Mourinho’s public pursuit of John Stones was nothing short of a disgrace, using his allies in the media to unsettle the England defender. Stones may have momentarily glanced enviously in the direction of West London, but on Saturday his performance was exemplary and reaffirmed his commitment to Everton’s cause. 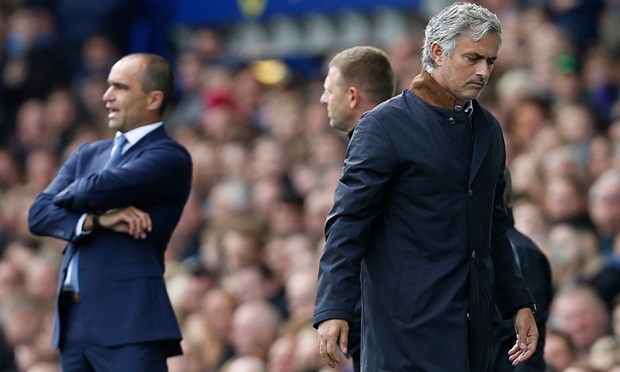 Martinez was unhappy with Mourinho’s maneuverings and explained as much. “The other side is the disappointment of seeing a football club leaking such statements to the press and making it so open. “That is not the way we would do it at Everton, we would not speak of a player who is registered at another club and there is no issue from our point of view – John Stones is an Everton player. Next Post Do you want to write about Everton?